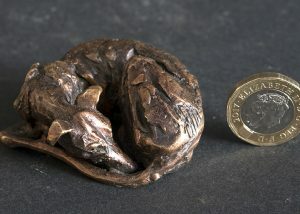 Whilst bored at a show where I was exhibiting and having very little wax I had to make some thing very small! 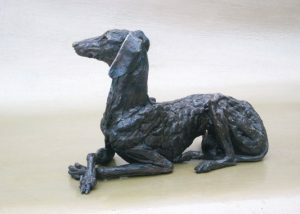 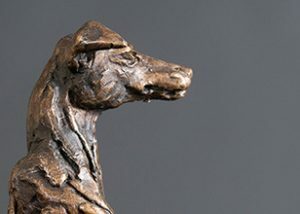 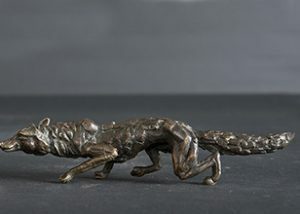 I made a wax model of the curled whippet and then cast it in bronze. 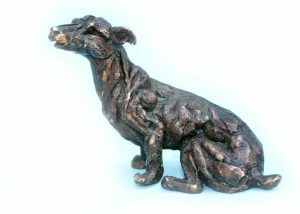 I followed up with several others, the latest being a scratching warthog, a little leopard and mini horses rearing and rolling. 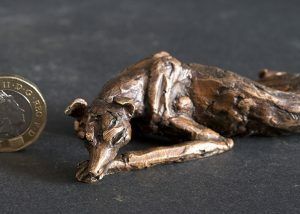 I have tried to keep them small and affordable. 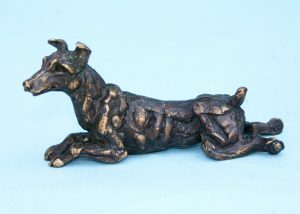 They make excellent special presents and are very collectable. 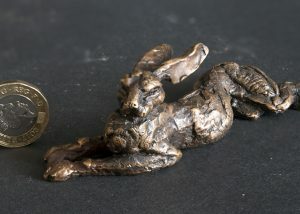 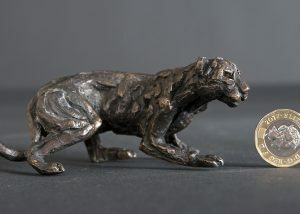 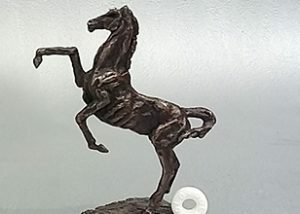 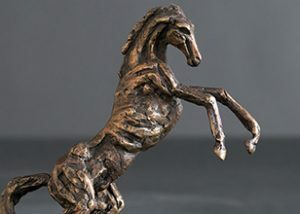 They are mini bronze sculptures with the quality of the bigger bronze sculptures. 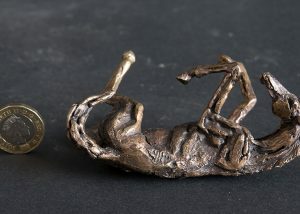 Please click on boxes for more information on each mini.